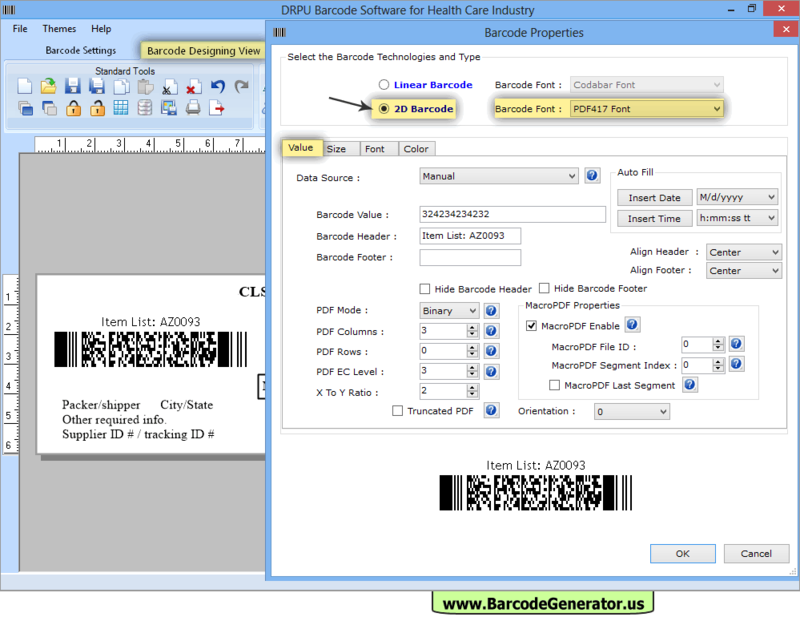 Choose Barcode Technologies (Linear or 2D) as well as barcode font. 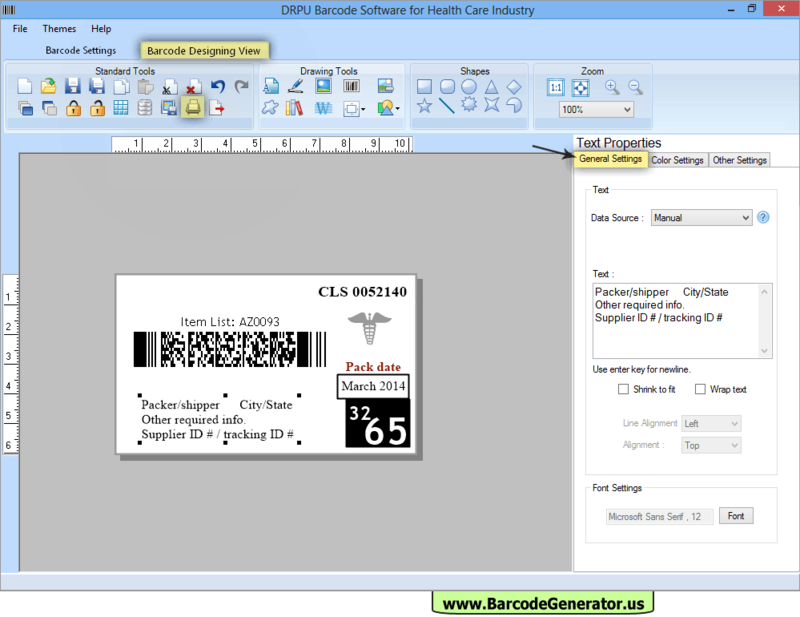 Change Barcode Properties using Value, Size, Font, Color tabs. Fill color in your label using "Color Settings". Using Text Properties, you can write text on your label. 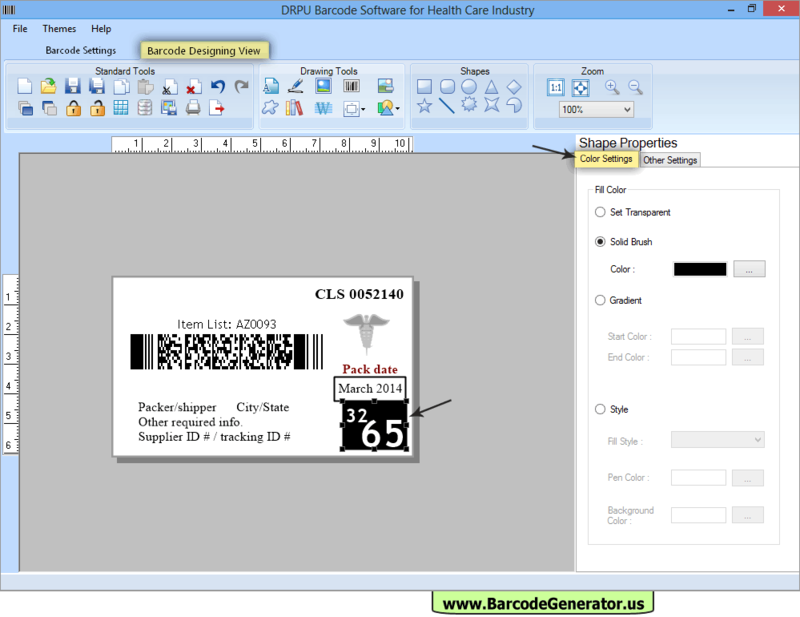 To print your Barcode Labels, Click on print button in Barcode Designing View. 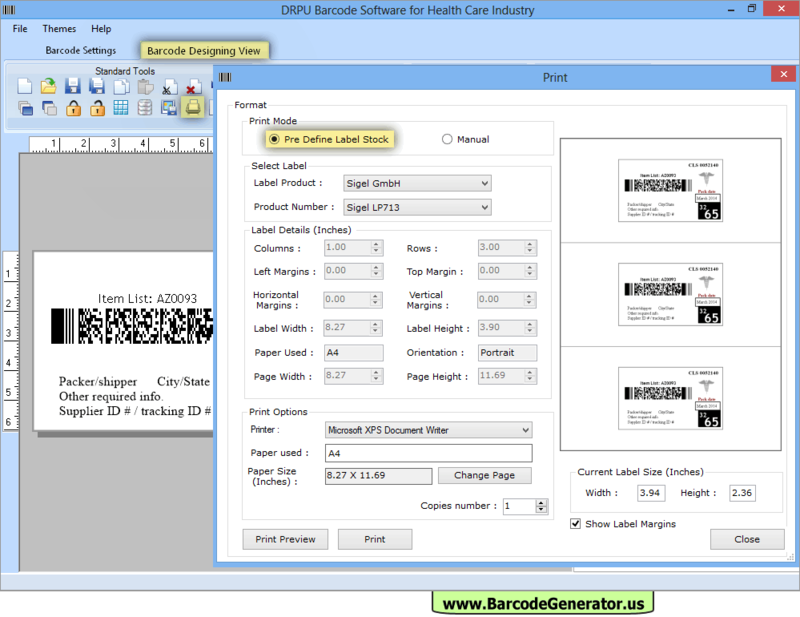 Then choose print mode either 'Pre Define Label Stock' or 'Manual', Set printing settings and click on Print button.